Coming November 13, 2016. Ooo la la! It’s almost time for the Marathon Des Alpes-Maritimes (The French Riviera Marathon to us Anglophiles), started in 2008, and the second largest race in France. Runners from more than 50 different countries bask in the incredibly scenic route along the French Riviera starting at the oldest gardens in Nice, the Albert 1st Gardens. 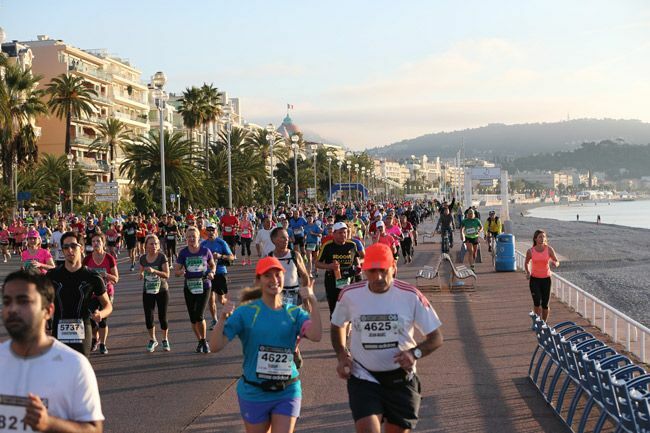 With 95% of the race set along the water, you’ll see the Hotel Negresco, the famous palace with its characteristic pink dome overlooking the Bay of Angels, the impressive chateaux along the Cap d’Antibes, quaint villages, and finally finishing on the Promenade de la Croisette in Cannes. A Côte d’Azur running experience to remember!